Extended reality (XR) refers to the wide range of virtual-to-real world environments including VR (virtual reality), AR (augmented reality), and various combinations of the two. XR is a hot topic and XR technologies are finding their way into new applications beyond games and entertainment including healthcare, education, manufacturing, and retail. Recently we announced the Qualcomm® Snapdragon™ XR1 Platform, the first dedicated mobile platform for XR. The XR1 platform is designed to allow OEMs to develop new types of high-quality, cost effective stand-alone XR devices, which may not require all of the premium features found in top-tier XR devices. In turn, developers can broaden their user base with XR experiences on these devices for mainstream use. And while we think the XR1 platform is impressive, the most exciting part is imagining the possibilities. In this blog we’ll present three potential use cases illustrating how we think the XR1 could be used to drive a new range of high-quality XR experiences. For the enterprise, consider a repair person in the field fixing a mechanical unit. 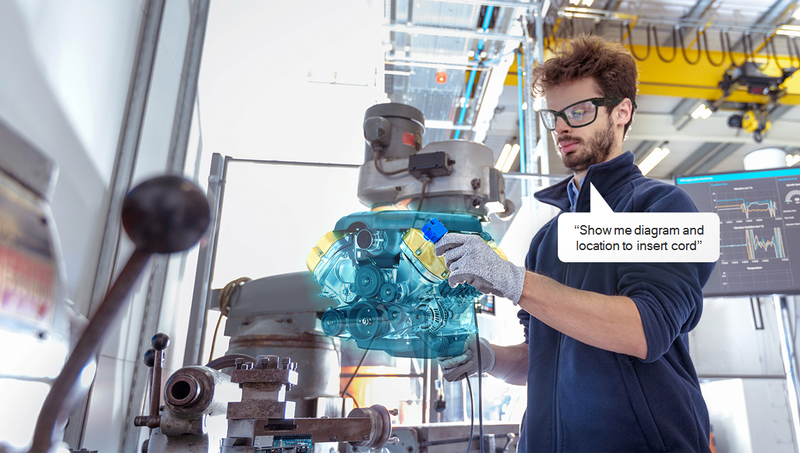 Using XR1-powered AR glasses equipped with a camera and connected to the Internet through Wi-Fi or Gigabit LTE, the repair person receives real-time assistance from remote support staff who can see the same view that the repair person sees. The repair person’s view could also provide an AR view with a heads-up display showing a diagram of the device rendered using OpenGL or Vulkan. The XR1 platform could allow the repair person to perform hands-free control of the heads-up display through voice commands such as “show me the location to insert cord”, thanks to the XR1’s support for Qualcomm Aqstic™ audio technology, which is engineered to provide always-on, always-listening keyword detection and low-power voice processing. And just as important, the AR glasses remain functional and comfortable out in the field for long repairs thanks to the energy efficient design of the XR1’s heterogeneous architecture. Imagine the classroom of tomorrow, but it’s actually here today. We now have the capability to teach our children about nature and the environment using VR headsets powered by the XR1 platform, allowing kids to immerse themselves in a virtual re-creation of an environment such as the Amazon rainforest. Using this rainforest example, 6DoF head tracking and 3DoF control provided by the XR1 platform allows the students to explore the environment, learning about its complex ecosystems. Additional information could be presented in AR using the XR1’s hardware accelerated composition to render overlays with descriptions of the rainforest’s objects. Virtual creatures could roam the jungle bringing the environment to life using the XR1’s support for the Qualcomm Artificial Intelligence (AI) platform. Students can also experience the sounds of the rainforest through 3D directional sound. Qualcomm 3D Audio Tools can be used to develop true-to-life immersive 3D audio experiences on the XR1 that correspond to head movements and are transmitted to Bluetooth earphones through the XR1’s support for Qualcomm® aptX™ HD audio. The experience comes together with the Qualcomm® Adreno™ GPU, which contributes to its sub 20ms motion-to-photon latency providing an ultra-realistic and smooth experience. Collectively the XR1 technologies are designed to provide a more vivid, vibrant, and dynamic experience than existing 2D content delivery mechanisms. AR is also being used in an ever-increasing number of healthcare use cases. A surgeon often performs an operation while having to monitor information from multiple displays. Now imagine the surgeon using XR1-powered AR glasses to view all of that information on an AR heads-up display, reducing the need to look away from the area that they’re repairing. Information could include everything from the patient’s real-time vital signs to virtual 3D imagery of an organ reconstructed from patient test data. Like the remote repair use case above, the surgeon could use voice commands on the XR1- powered glasses to navigate virtual menus or display different information. The voice commands could also be relayed via Wi-Fi to control other hardware, allowing the surgeon to remain focused on the patient. The XR1 heterogeneous architecture could also power functionality such as object detection and classification to help the surgeon identify potential areas to examine as they perform the procedure. Here the Qualcomm® Hexagon™ vector processor, Qualcomm® Adreno™ GPU, and Qualcomm® Kryo™ CPU in XR1 could work in concert to help drive the AR application built with frameworks such as Caffe2 or TensorFlow. What Can You Do with the XR1 Platform? It’s exciting to imagine the potential for mobile XR and the capabilities that platforms like XR1 brings. Education, enterprise, and healthcare are sure to be just a few areas where XR1 can help OEMs and developers bring XR experiences to high-quality, cost effective stand-alone devices for mainstream use. So now we’d like to know - what experiences would you make a reality with the XR1 platform?